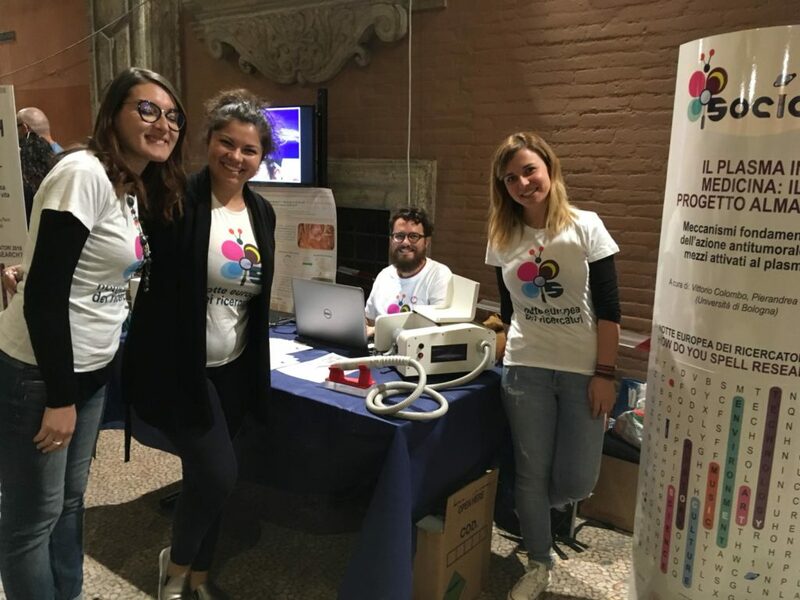 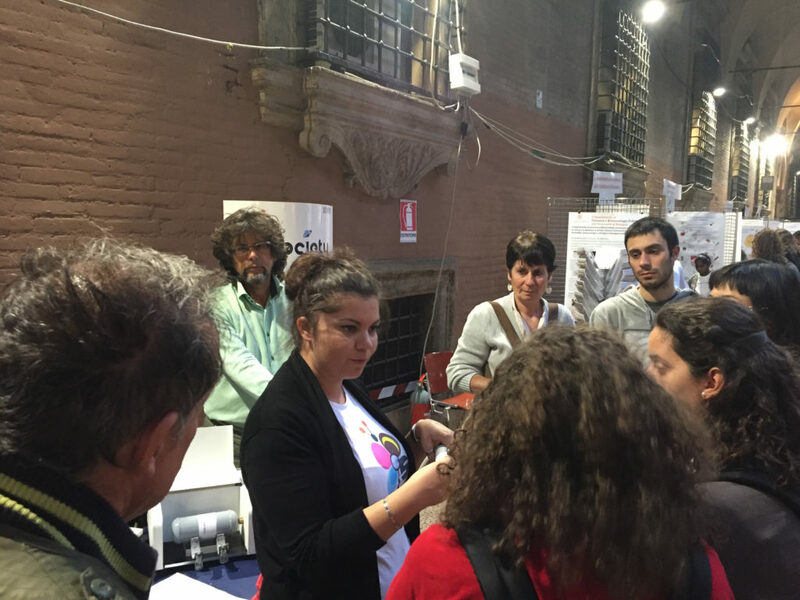 Our group participated to the “Notte Europea dei Ricercatori” (“European Night of Researchers”) on 28th September 2018 in Bologna (Italy). 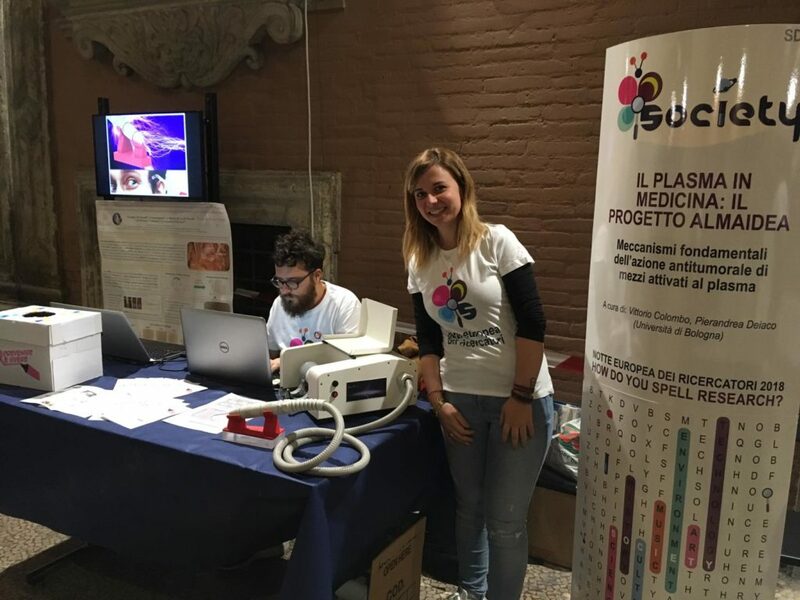 We participated as members of the AlmaIdea Project “Studio dei meccanismi d’azione chimico‐fisici e biologici alla base dell’attività antitumorale di liquidi attivati con gas plasma per il trattamento della carcinosi peritoneale da tumore epiteliale dell’ovaio/tuba/peritoneo primitivo”, focused on the investigation of PALs (Plasma Activated Liquids) as potential antitumor agent in the treatment of peritoneal carcinosis. 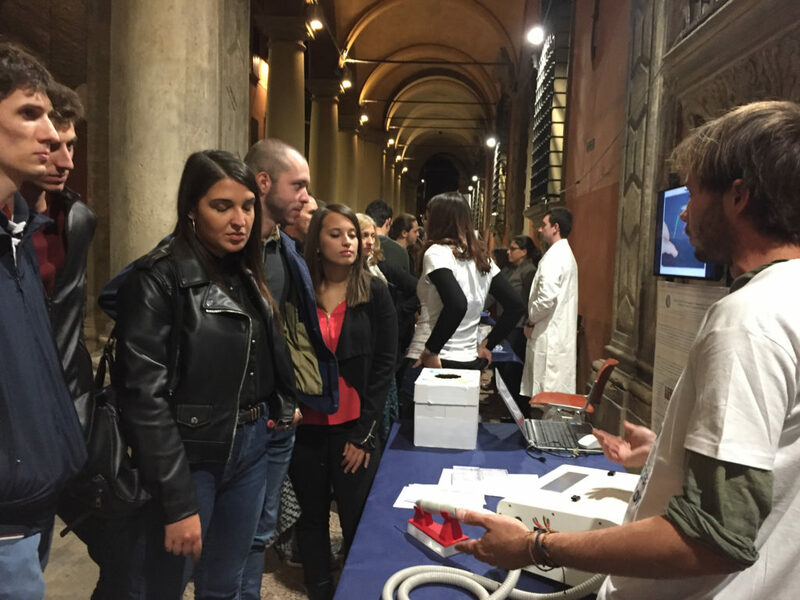 Further details on the event can be found on the official webpage. 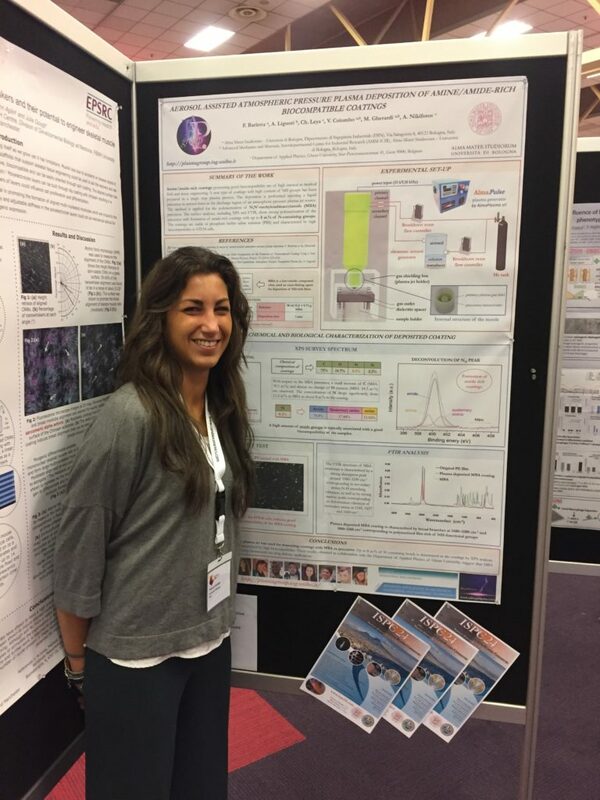 The 8th International Workshop on Plasma Spectroscopy (IPS2018), focused on all types of spectroscopic methods such as FTIR, ATR, OES, LIF, CARS, laser absorption spectroscopy, frequency combs etc., and their various applications for diagnostics of gas discharges, took place on September 23rd – 26th, 2018 in Oxford, the United Kingdom. 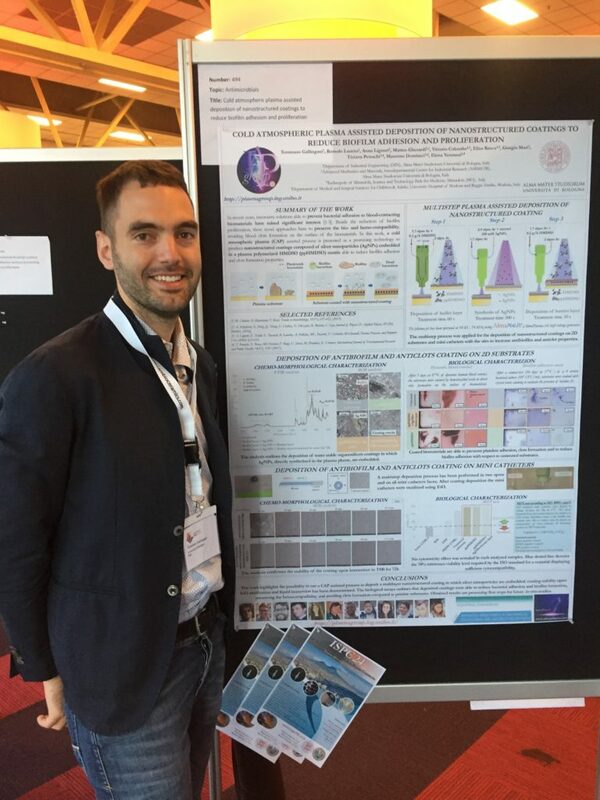 Dr. Emanuele Simoncelli was awarded for “best poster presented by a young scientist” at IPS 2018!! 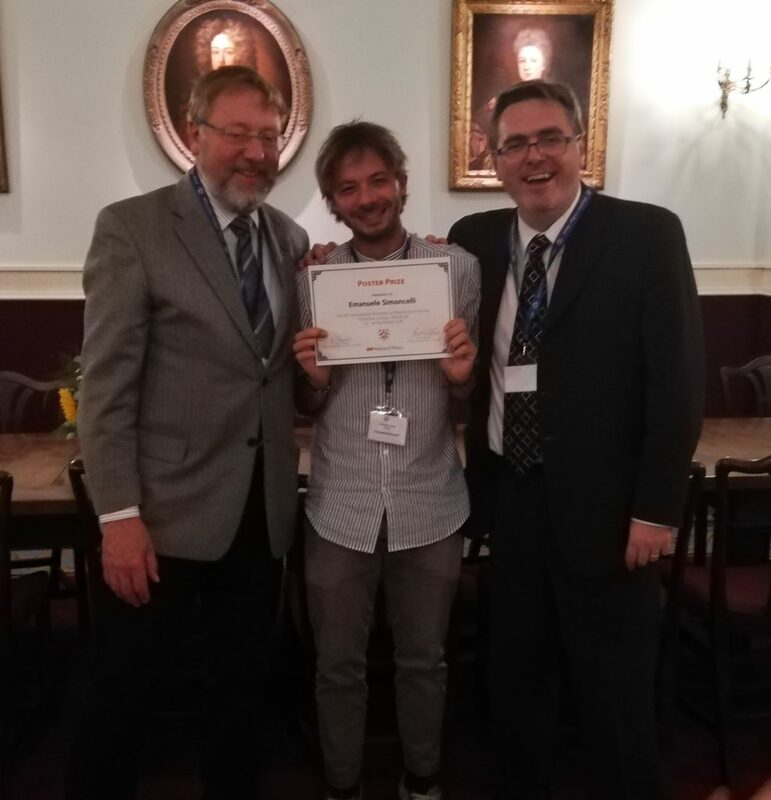 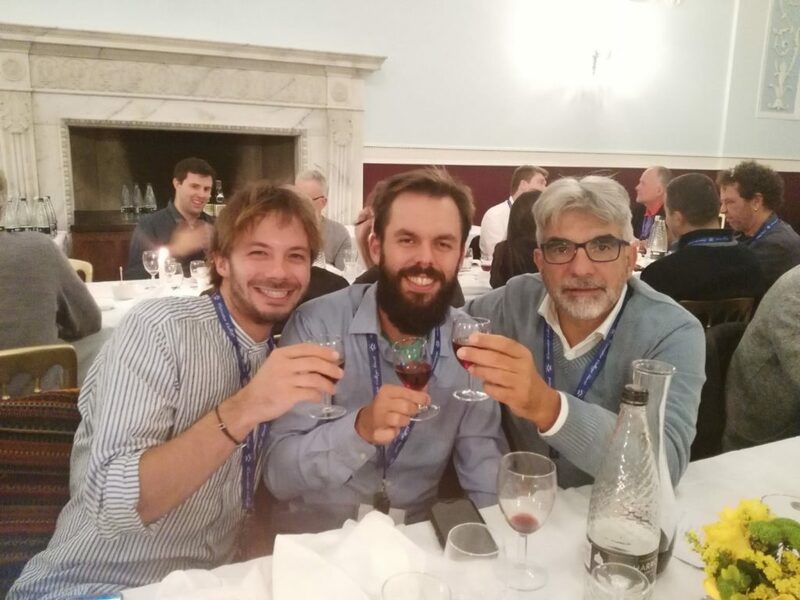 Our group member Dr. Emanuele Simoncelli has been awarded with the best poster presented by a young scientist at the 8th International Workshop on Plasma Spectroscopy (IPS2018) held in Oxford, the United Kingdom the September 23rd – 26th, 2018. 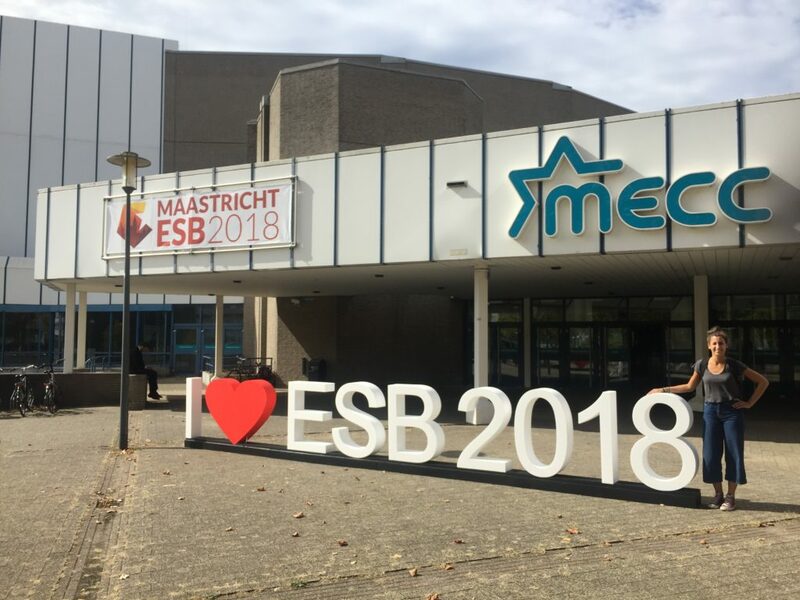 The 29th Annual Meeting of the European Society for Biomaterials took place on September 9–13, 2018 in Maastricht, the Netherlands. 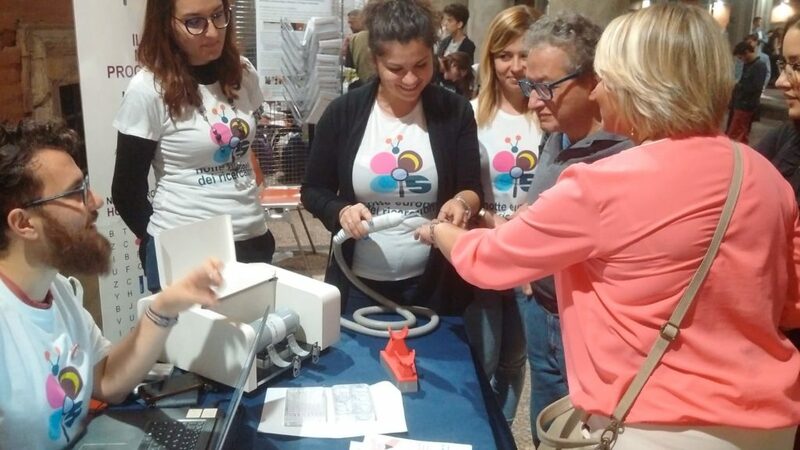 The 22nd International Conference on Gas Discharges and Their Applications was held in Novi Sad, Serbia, from Sunday, the 2nd to Friday, the 7th of September 2018.